Sumukha Foundation was founded in 2007 and has been providing free surgeries to under privileged patients with facial deformities such as, cleft lip & palate, facial injuries, oral cancer, tumors and cysts, deformities of jaws and fusion of jaw joints in children. Such patients experience difficulties in eating, swallowing and speech. They are often ostracized by the society due to their unpleasant appearence. Baby Rohini was brought to Sumukha Foundation when she was 16 months of age during one of our awareness camps by an Anganwadi worker. Rohini had by birth both cleft lip and palate. Due to her condition, she had severe difficulty in breathing and repeated bouts of lung infection. 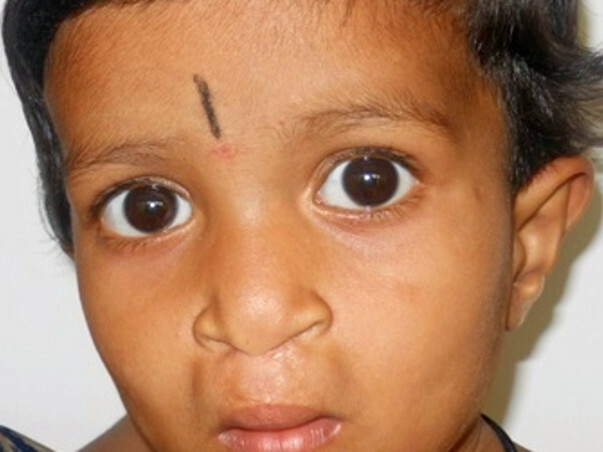 In addition, Rohini was unable to consume adequate quantity of food because the food kept in mouth would trickle down to her respiratory passage due to open palate. Rohini’s father a farmer and mother a house wife had no means to pay for the surgery on their own and were also quite concerned about the successful outcome of the surgery to correct the problem. After extensive counselling, the family was prepared for their daughter’s reconstructive surgery and now Rohini is about 5 years old and is doing well and leading a normal life like others. Our team of specialized surgeons provide free services to thousands of such underprivileged children and ….. Your contribution will boost their efforts. I do wish Sumukha Foundation very well and hope you touch the goal before you even realize it!